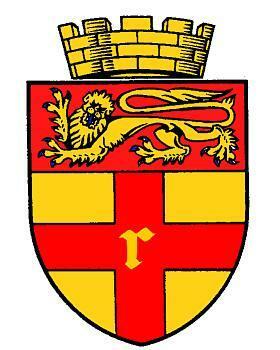 The Rochester Bridge Trust’s coat of arms copies the crest and the lion from the City of Rochester’s coat of arms and combines them with the arms of the Trust’s two founders. 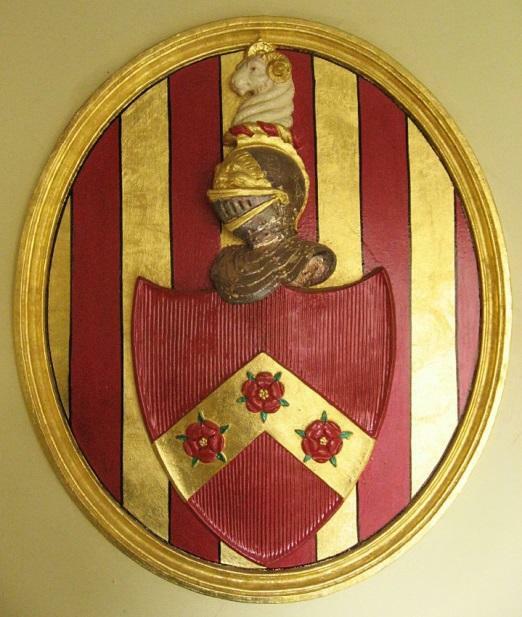 The Rochester arms are unusual for the inclusion of a letter of the alphabet. 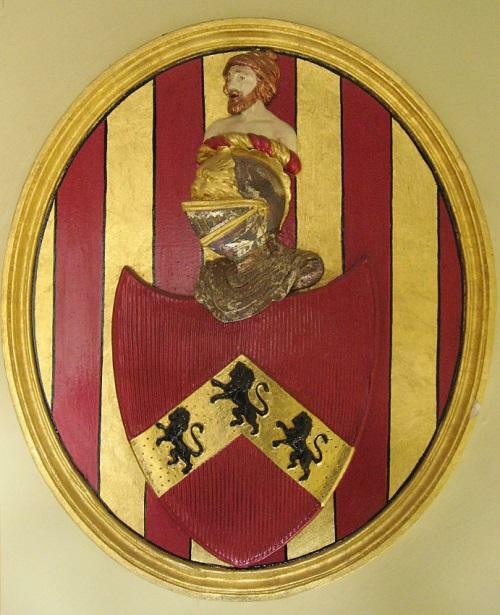 The lion on Rochester’s shield recalls that Rochester was originally a royal borough. Since the Trust was founded by the letters patent of King Richard II, the lion is, perhaps, also appropriate for use in the Trust’s arms. The coats of arms of the Trust’s founders appear in several places in the Bridge Chamber and Bridge Chapel. These ornamental plaster rondelles, originally displayed in the 18th-century Bridge Chamber, now appear above the doorway to the modern Bridge Chamber courtroom. The motto – publica privatis – can be translated as “public works from private means”. © The coat of arms may not be reproduced for any purpose without the permission of the Rochester Bridge Trust.